With the recent passing of Ian Jones and Professor John Molony, the last remaining important links to the golden age of Kelly adulation were broken, and the Kelly story has reached a watershed. Up until Jones died, his mere presence in Kelly country was like a bulwark against the tides of change that were steadily turning against the popular image of Ned Kelly as the people’s hero. Jones’ word, written or spoken, could and did often settle an argument, close down a discussion or inspire another round of Kelly enthusiasm. No other figure in the Kelly world commanded anywhere near the same respect or wielded the same power and authority over Kelly history as did Ian Jones. 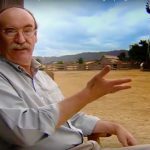 One of the things that impressed me about his writing was that with some notable exceptions, for the most part Jones was prepared to let the evidence speak for itself. It must have been difficult for him to admit, in his discussion about the Fitzpatrick incident, that Ned Kelly lied about it. But Jones accepted the logic of evidence and facts. In tandem with the dismantling of the old view there has been a decline in the once active Kelly world, both online and in the real world. There was once a very active online forum called the Ned Kelly Forum. I joined but was kicked out within a few weeks, but Forum activity declined and then it disappeared completely a couple of years later. 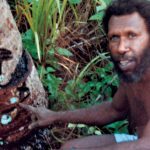 There was once an active free online forum called Kelly Country 2000 – it declined into inactivity and when it was recently threatened with closure by imposition of an annual fee of $80 its administrator announced it would close. Nobody offered a cent to keep it going! There are a couple of worthless Facebook pages devoted to Ned Kelly – but both are echo-chambers from which all dissenting voices are banned. They are inhabited by people whose main pre-occupation is attacking and vilifying every voice wherever it may be that expresses an opinion they disagree with. In the real world, Heritage Victoria is revising the tourist experience at Stringybark Creek, changing the emphasis from the gang of murderers to their police victims. The Ned Kelly Weekend, an event that devotees once attended in their hundreds has disappeared, due to lack of interest or support. At huge expense an exploration of the tourist potential of the Kelly story delivered a report to North east councils this year that suggested pouring buckets of money into promoting it, but all that’s happened so far is a lukewarm commitment to the least expensive proposals. The suggestion that a significant Kelly Centre with a tower be developed at Glenrowan, something that had already been mooted many years ago and dropped, has once again been dropped, and the Kelly descendant hoping to get millions for the Center after her own attempt to raise money flopped, has yet to even complete a web site which has been ‘under construction’ for years. In the movie world, the big money is not going into the actual story of Ned Kelly but into a fantasy based on him. Crowd funding for a grand Kelly outbreak movie promoted by Kelly devotees failed dismally. 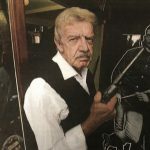 Now the same group are seeking funding for a movie centred around the demise of the Kelly Gang at Glenrowan – and have already announced it won’t contain one of the central myths of that bloody debacle, the myth that it was an attempt at establishing a Republic : progress in the right direction! Another Kelly movie, successfully crowd-funded and promoted not by devotees but by independent students of film-making is in production as we speak. 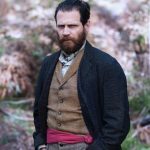 It will depict the horrors of the Stringybark Creek murders – another step in the right direction, away from the myths and lies of the Kelly fables. 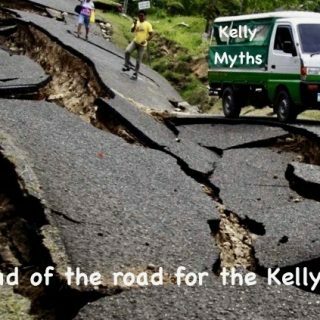 Against that onslaught where are the defenders of the Kelly myths? The only voices that remain are those of a few remaining die-hard believers who gather in their echo-chambers on Facebook and reassure each other that yes, the whole world is out of step! Every single dissenting voice and opinion is shouted down with abuse, vilification and derision, and silenced by intimidation and expulsion. They plan to hold a talk-fest next April at Chiltern but with a couple of exceptions, the speakers are the same tired old amateurs who by all accounts will be recycling the disproven myths and yarns they’ve been telling for decades. Some of them claim to be Kelly ‘researchers’ but what they mean by ‘research’ is trawling the internet and the historical records for the tiniest shred of evidence that could possibly be construed or misconstrued as supportive of their extreme hatred of Fitzpatrick and their blinding pro-Kelly bias. An even easier tactic is simply to make stuff up about him – such as the contemptible unsupported and unchallenged claim made the other day on Facebook that he was a child molester. But the claim he was drunk and a liar and a womaniser is also made up. Lately in their attempts to shore up this increasingly untenable and pernicious view of Constable Fitzpatrick, in the absence of facts that support their claim about the kind of man he was when he visited the Kellys in April 1878, they have turned to muck raking and mud-slinging not just about the man he might have been many years later, but also about any of his near or distant relations – if they were unsavoury, that proves he must have been as well, according to these sleazy ‘private eyes’. But nothing about what happened to him after he left the police, or about his family or his next door neighbour or the price of fish is in any way relevant to what happened years before. If they want to make allegations about what he was when he was in the police force, they need to show evidence from when he was in the police force, not from decades afterwards. Their entire muck-raking campaign is a huge distraction and of no relevance at all to the causes of the Outbreak. To date none of these malicious muck-rakers have uncovered a single fact that supports their contention that in 1878 Fitzpatrick was a womaniser, a drunk and a liar. Not one blow has even landed on Stuart Dawson’s exposition of what happened, let alone dented it. However, at Chiltern next year one of these muck-rakers, Alan Crichton, is going to be opening the talk-fest with a presentation about Fitzpatrick. Going by his public utterances to date, this talk will be a sickening fact-free vilification of a man who died what would have been a lingering painful and horrible death from disseminated cancer that was invading his stomach. But Crichton says he is “now convinced he died from a liver complaint caused by an over indulgence in the consumption of alcoholic beverages”. According to Crichton “Fitzpatrick’s death certificate says it all”. This conviction, that Crichton shares with his fellow Fitzpatrick-haters, is completely the opposite of what science and medicine and pathology textbooks say. There is no known link between liver sarcoma – which is what Fitzpatrick died from, – and ‘over indulgence in the consumption of alcoholic beverages’. And yet these wretched Kelly supporters are so determined to vilify Fitzpatrick that they simply close their eyes to the facts written in black and white in front of them on Fitzpatrick’s death certificate. Because he died from disseminated sarcoma which was invading his stomach and causing ascites, Crichton, who clearly knows nothing about medicine or pathology, is going to use that miserable lingering death as an excuse to label him an alcoholic. What more desperate act of cringing muck-raking could anyone imagine? Ian Jones would be spinning in his grave: he was the man who wrote “Fitzpatricks version appears to be closer to the truth than Neds version” and at another place, about something else said ” we are in happy disagreement” – but such tolerance and openness will never be found or even tolerated in this disgraceful new crop of so called kelly ‘researchers’. I suppose from my point of view I should be happy that the only voices that remain to defend the Kelly legend are people like Crichton and the other male speakers at this last stand at Chiltern. They completely lack the integrity and credibility that people like Ian Jones exhibited, and fair minded people will be, and already are turning away in droves – not just from their talk-fest but from their entire Kelly fairy story. Who would want to associate with a bunch of muck-raking haters? No doubt in my mind : the passing of Ian Jones was a watershed for the Kelly legends . There is no-one left with any credibility to defend it. The demise of the Ned Kelly forum is due to the imbecile who ran it. He is a foul mouthed drunk who had no control of the gab. 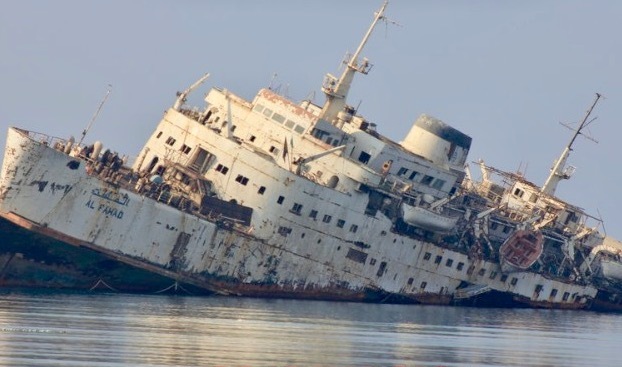 The sinking of Kelly Country 2000 is fully directed to Sharon Hollingsworth. Single handily Sharon did more damage to the forum that you have ever done over the last five years. Why don’t you go ahead and ask her. She believes she is far more superior than all of us. I’ll give her credit where it’s due, she is a master manipulator. She is the reason why the forum sunk, and not how you so wrongly put it. Some folks just don't have the full story and never will but it hasn't stopped them from spreading half truths and innuendoes far and wide. I have vowed all these years to never talk publicly about the situation because it would drop someone else in it. I have shouldered the full blame all this time when the "final killing blow" was not even my bloody idea to start with, though I admittedly followed along very obediently and enthusiastically. Enough said, heck, probably too much said! I will not speak of it again. And so when Sharon left, what stopped all the remaining members from carrying on without her? Did she pinch their keyboards? As for the NKF, there were two people in charge of that, and they had a falling out, so the Forum ended and nobody could be bothered trying to replace it – which is my point : publicly expressed interest in Kelly mythology has shrunk to a bunch of intolerant bullies and police-haters. These are the ones who kicked Sharon off the KC 2000, and they still vilify her at any opportunity – hello Kelly toad? – these are the same ones who destroyed the NKF which was bleeding members because of those same bullies and was moribund long before anyone pulled the plug on it, and the last refuge of these creeps can be seen hiding in their Dee-prohibited safe zones , their echo-chambers on facebook. You are 100% correct in what you say anonymous.I have a sneaky idea who you are too but your secret is safe. By the way to all of you that think the Fitzpatrick incident is finished,sorry fellas you are wrong again. Ive received a couple of other posts providing other accounts of what happened at KC2000 and vilifying various named individuals but am not going to post them. My point in raising the subject of KC2000 is that for several years its been close to completely inactive. My entire forums were deleted by the kelly toad on three occasions but I got back up and kept going – why couldn't KC 2000 have done that? – they weren't completely destroyed like I was! ANSWER : Hardly anyone was interested other than the kelly toad who cant find enough outlets for his useless opinions and his bullying. More on Fitzpatrick? Bring it on Bob! So far you havent landed anything that has had any effect on Dawsons analysis of what happened in April 1878. And who cares what muck you manage to rake up from the extended family, his descendants ancestors neighbours and anyone else with the same surname ? Don't you realise you're clutching at straws? Show us something from 1877 and 1878 and you might have something worth discussing otherwise youre wasting your time getting dirty old man. It's Case Closed on Fitzpatrick. The ex-cop was blond. The dud-cheque farmer was a brunette. It doesn't get any simpler than that. It's black and white! The comments have drifted far from the point here, that those who have an interest in reading about Ned Kelly and his gang for the most part read old, redundant and obsolete interpretations dressed up as "history". Molony's "I am Ned Kelly" was never intended as a general biography or history; it was expressly written as a vindication of Kelly's story from Molony's interpretation of Kelly's outlook. It never pretended to be balanced – see the prefaces in the second reprint 2001 edition – and it wasn't. It is a 1980 book with numerous flaws, such as taking Kelly's version(s) of events as true almost every time, accepting the Republic myth without a shred of evidence, getting the squatters vs selectors interaction totally wrong, letting Kelly's hatred for Fitzpatrick load his presentation of the Fitzpatrick incident in a shamefully un-historianlike way, and basically being an obsolete academic embarrassment. He got most things wrong, from the bush background to the execution, by relying on historical "sources" that entirely reflected his extreme pro-Kelly bias. The book reads very well because of his power of language, but as a history of Ned and the Kelly gang it is largely nonsense. Those who compare his interpretation with other books and evidence and look deeply into his references soon see that he has simply not included or even mentioned historical evidence that didn't suit his perspective. The other and greater influence on the Kelly story is of course Ian Jones' "A Short Life". This too is old – 1995 – and while admirably broad-ranging in scope, skews the entire Kelly story with a fantasy belief in Kelly as a republican rebel. This leads to numerous misinterpretations of historical sources including the Jerilderie letter, which are taken out of the context in which they were written and read in their day, and wrongly claimed as evidence of a political program that is entirely a product of post 1940s creative writing. His 1967 social class and economic analysis was shown wrong in the Man & Myth conference, but persisted unchanged. He went out of his way to mangle clear evidence of Kelly's bad side, such as Kelly shooting labourer George Metcalf before the Glenrowan siege, to clean up Kelly's image. His presentation of Glenrowan as an attempted political rebellion is so at odds with the abundant evidence that it is farcical. His 2003 revised edition adds a bit more content but the distorted perspective remains unchanged from 1995; as he said in the introduction, the Ned that he knew then is the same Ned he knows in 2003. 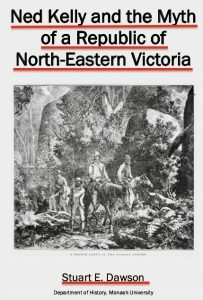 A third edition was done in 2008, but it was simply cut down from the 2003 version and has not won much favour (see the so-so review on the Iron Outlaw review pages, which have still not acknowledged the existence of my free book, "Ned Kelly and the myth of a republic of North-Eastern Victoria", probably because it demolishes the Kelly republic crap.) Barely a shred of additional evidence or argument to defend Kelly against his critics between 1995 and 2008 is presented. It seems mostly content to rest on its laurels, and one is left reading a book whose prime content was already a dozen years old a decade ago. In the meantime historical work has moved on. More newspapers of Kelly's day have been added to Trove; more letters and memoirs have surfaced; more files of material have been unearthed and made available at Public Records Office Victoria. While Dee noted above that Ian MacFarlane's 2012 "Kelly Gang Unmasked" was a landmark in critical Kelly works, there have been many articles and theses over the nearly 40 years since 1980 which have punched significant holes in various Kelly myths, but have been mostly ignored by those writing ever-more books glorifying Kelly and the boys while saying little new, and typically nothing outside the aging interpretive framework. The two main Kelly biographies – Molony 1980 and Jones 1995 – are long overdue for a rethink. Congratulations on getting my identity correct above well done .On this occasion I will give my correct name yes I am Bob McGarrigle your old foe and really a cousin of the Kellys despite people on here not believing me.In regard to the comment I made above Anonymous99 I stand by what I said. Remember Tim Shaw from the demtel adds David he used to say "and theres more" well that is what is going to happen so I believe. I cannot provide that info because I havn't the nouse or ability to find things on PROV and Trove etc I am only getting my teeth into that sort of stuff only recently.In our team there are far better people than I that are involved far better. Last weekend I purchased Leos Black Snake book here in Sydney and read the book in about 3 days which is pretty good for me for $35 at QBD. I am certainly not an expert in literature at all and the following comments are simply mine and mine alone.I found the book has some very good chapters and some that are not so good.The well produced chapters like the History of the Kennedy family coming to Australia was very informative and interesting.The people on our side of the ledger know all about the arrival of the Kellys,Quinns,Lloyds etc and is well publicised in most publications.This is the first time that I have read about Michael Kennedys family ,which I knew absolutely nothing about. The chapter on SBC which was also shown in the Herald Sun and the Sunday Telegraph days before the books release was very moving indeed.In Leos words you could tell the agony that he must have been going through while writing that particular chapter and would have been very difficult for him. Now to the bits I didn't like and people here probably won't like what I say.I didn't like the Glenrowan part of the book as to me the author seemed to skimp over a lot of the main parts that happened and that was disappointing to me.I can understand why he did it but Leo in my opinion completely overlooks the behaviour of what the police did at the inn site.He seems to have exonorated the police behaviour completely and is a bit unbalanced in what actually happened by both the gang and the police.We have been through all this before as you know David but it is a fact there were faults on both sides. Unfortunately just like your favourite book David, Ian Macs publication there are plenty of references (in Leos book notes) but no links to any pages in the book.This makes it very difficult for the ordinary reader like me to authenticate these items.We all can't be Dawsons of the world,the average Joe doesn't have that ability.I think it is also very unfortunate that the book does not have a A to Z index so the reader can go back and check on an item that he requires to read again to get certain information that he or she may have missed. I am sure that most of the regulars that visit this site and have read various opinions of the book will already know there are quite a few errors in the book and that is a fact and not too difficult to see.I am sure in the future days and weeks all the experts will point these out. Thanks Bob thats a very fair review of Leos book and I thank you for it. Your opinion is entirely valid and appreciated. I agree with much of it. As I say at the bottom of the page anyone is welcome to post polite sensible comments, as you have done here, and hopefully you'll do so again. Actually on Monday afternoon I also bought my copy of Leos book at QBD for $35, and have now finished it and am in the tidying up stage of my review of it. I will probably post it tomorrow sometime, and I might even transfer this comment of yours onto that Post, once its up. 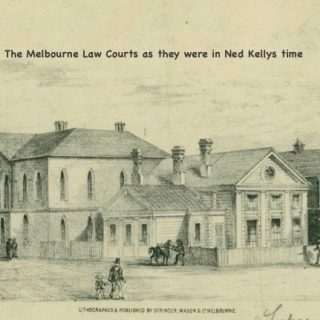 The anonymous Ned Kelly Centre page says "Constable Alexander Fitzpatrick had gone to the Kelly home to arrest Dan Kelly on a charge of horse stealing, where Fitzpatrick claimed he was attacked by the widow Kelly and others, including Ned Kelly (a claim Ned Kelly denied). The Kelly family always held that Constable Fitzpatrick had accosted 14 year old Kate Kelly on that visit." This is ridiculous. 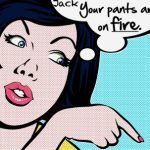 Fitzpatrick WAS attacked by the Widow Kelly and others – and she and another admitted it! Ned Kelly admitted twice that he shot Fitzpatrick! Ned himself said that Fitzpatrick did not accost Kate Kelly! The Kelly family say they want to be taken seriously while they persist in holding on to historical lies despite what their own folk said at the time! They talk about wanting to educate others about the Kelly story! They need to educate themselves first! I wouldn't be giving them any money! All pro-Kelly sites do that, and no matter how respectfully you might attempt to correct anything, they kick you out for attempting to do so. The popular movie quote from Jack Nicholson " You cant handle the truth" applies to this lot perfectly. But no need to despair : the mythology is quietly being overturned, and now that Ian Jones has passed it will turn even more quickly I am sure. In regards to the above comment from Anonymous 20 October 2018 at 14:11. The rubbish in the comment looks more like Dee you have written it to yourself. You certainly know how to put lies and fake comments on here.